Boy in Nashik, India, submitted to the assignment ‘Someday’ on National Geographic. Kristian Bertel has contributed to the National Geographic Your Shot photo community with an assignment called ‘Someday‘. Curated by Monica C. Corcoran, a photo editor at National Geographic, is focusing on all the things that we want to do, but more often than not, life gets in the way. What do you daydream about doing eventually. So the topic more reflects what we daydream about and the choices that we want to make. As Monica is saying it: “- Maybe you want to make the leap to owning your own business or spending more time with your family. Perhaps you go to the beach every year for vacation, but you dream about moving there permanently”, she says. Kristian Bertel participated with one of his photos from India, which depicts a boy in Nashik in the Maharashtra province of India. The boy is standing in front of one of the main river in Nashik. An Indian boy near a river in Nashik, Maharashtra, India. Water pollution is a major environmental issue in India. 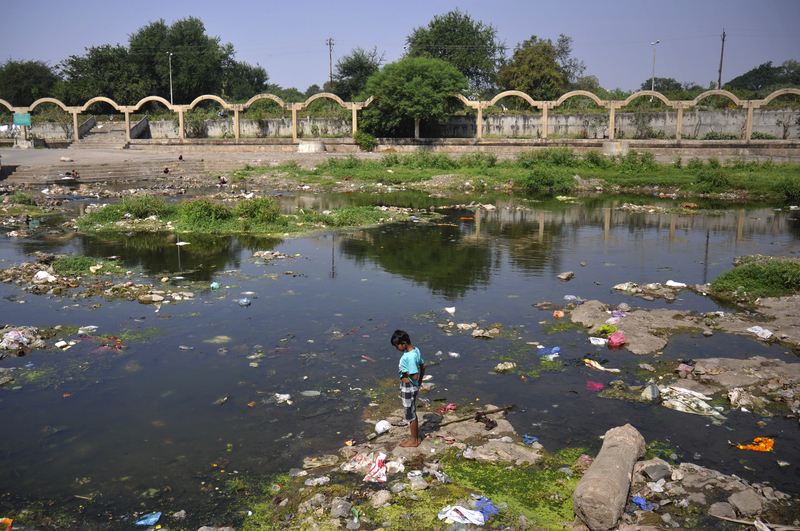 The largest source of water pollution in India is untreated sewage. Other sources of pollution include agricultural runoff and unregulated small scale industry. Most rivers, lakes and surface water in India are polluted. Someday I hope water pollution will be over. ”- When I looked though my recent photographs from India, I think this photo had something, where I as a photographer I could see the way the boy is representing a new generation and where it is up for eveyone of us someday, to make a brighter future for this new generation with no water pollution. I think that you cannot go through life without making any choices and to make a stand, so that is why I see my photograph symbolize the word ‘Choice’”, the photographer Kristian Bertel says.